As earth’s plants and animals die out in what has been called the sixth mass extinction, many people are raising concerns about what those species take with them. What if the pollen of an extinct flower held the cure to cancer? We’ll never know. But scientists are hard at work to get to know the species that remain. Now, scientists at the University of Queensland (UQ) in Australia have teamed up with local Aboriginal people to develop high-tech materials using a native plant. The Indjalandji-Dhidhanu people have lived in the Camooweal area for tens of thousands of years. They uphold their traditional laws and customs to this day, and have become custodians of Camooweal Caves National Park, managing the land and ensuring the protection of the plants, animals, and stones within. Many of these species have valuable and useful properties. The Indjalandji-Dhidhanu use a rock called chert to make spearheads and arrows. The wood of snappy gum trees (Eucalyptus racemosa) makes good didgeridoos and boomerangs. And the sticky, stretchy resin of the spinifex grass Triodia pungens is used both as medicine and as a super-strong glue to attach spearheads to shafts. Tiny fibers called microfibrils give the grass its stretch and strength, but with the right technology and knowhow, they can also be mixed into other things. UQ scientists developed a way to extract the fibers from the grass and blend them with latex. The result is a material so sturdy and elastic that it can be used to make condoms as thin as a human hair. "The great thing about our nanocellulose [treated fiber] is that it's a flexible nano-additive, so we can make a stronger and thinner membrane that is supple and flexible, which is the Holy Grail for natural rubber," UQ engineer Darren Martin said in a press statement. In an unprecedented partnership, UQ signed an agreement with Dugalunji Aboriginal Corporation that will recognize the intellectual property contributions of the Indjalandji-Dhidhanu people and ensure both their agency in any major decisions and their share of future profits made on the new materials. Colin Saltmere, managing director of the Dugalunji Aboriginal Corporation, which represents Dugalunji interests, is really happy with the arrangement. 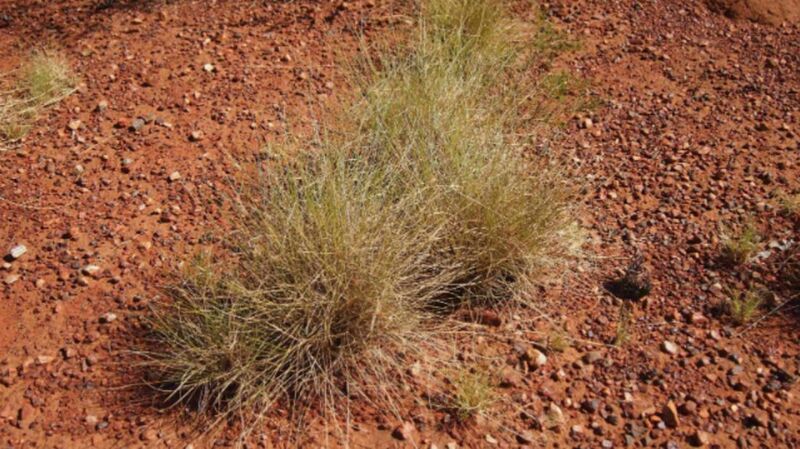 "There are strong hopes of cultivating and processing spinifex grass on a commercial scale, bringing economic opportunities to the remote areas across Australia where it thrives," he said in the press release. The researchers intend to publish their condom results later this year.